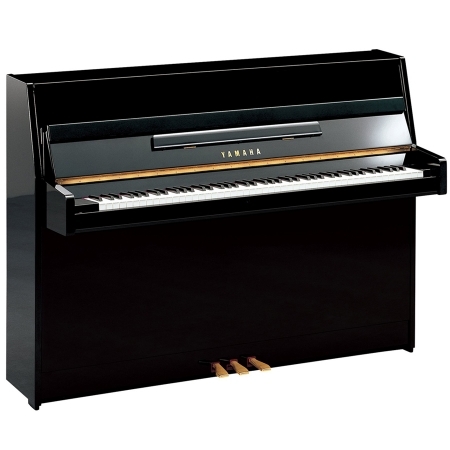 The YUS5 is as close to a grand piano as an upright cabinet will allow. 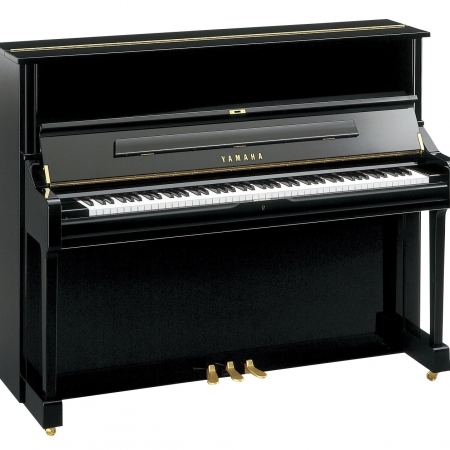 The sostenuto centre pedal is the same arrangement as a grand piano (with mute function via a lever), as is the sliding music rest which is located higher on the cabinet. 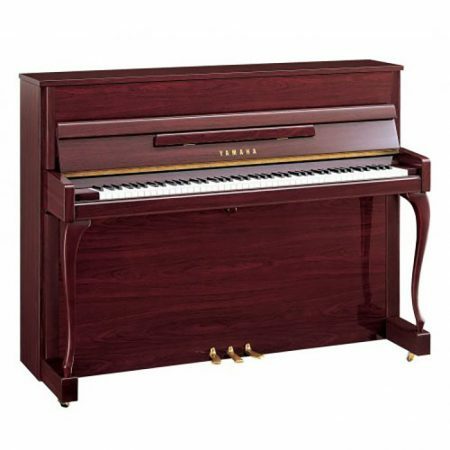 The larger cabinet design allows for longer bass strings to give the presence and tone of a larger piano. 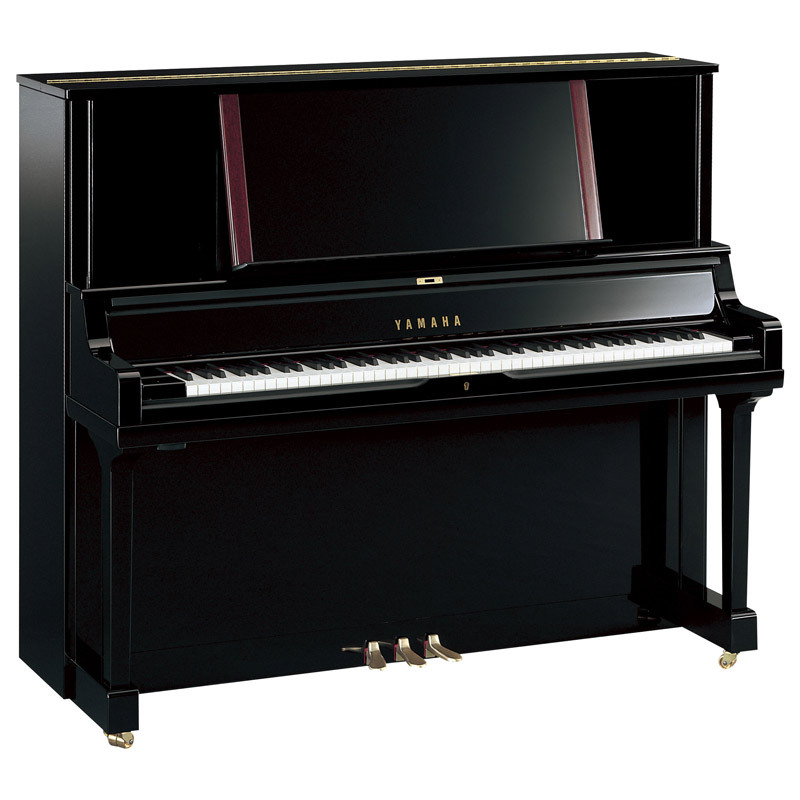 The stability of a piano’s touch is greatly affected by the durability of the action components. Buckskin leather from wild deer has long been used in piano actions to cover the rollers and back checks. In line with Yamaha’s corporate and manufacturing philosophy, a more sustainable material was developed in house. Ecsaine is a material with uniform thickness and bending resistance that actually surpasses buckskin in terms of quality and durability. As well as in the action, this material makes up part of the music rest in YUS series, adding to the luxury look and feel. At the Yamaha lumber mill and wood processing facility, the finest spruce is quarter sawn; and less than 10% of the total is selected and reserved for Yamaha piano soundboards. 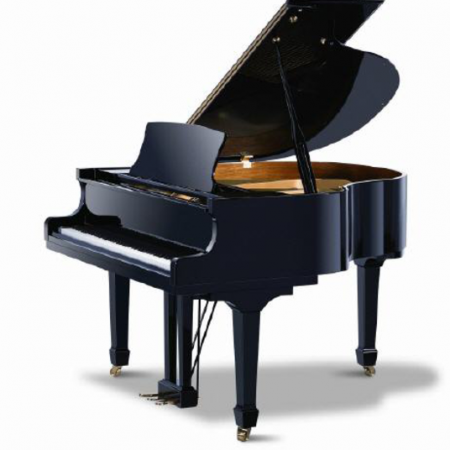 Solid spruce, rather than laminated spruce or poplar, is the choice in all fine pianos for the best amplification of sound, best tone and sustain. Yamaha’s proprietary drying process eliminates warping and torsion in the soundboards.